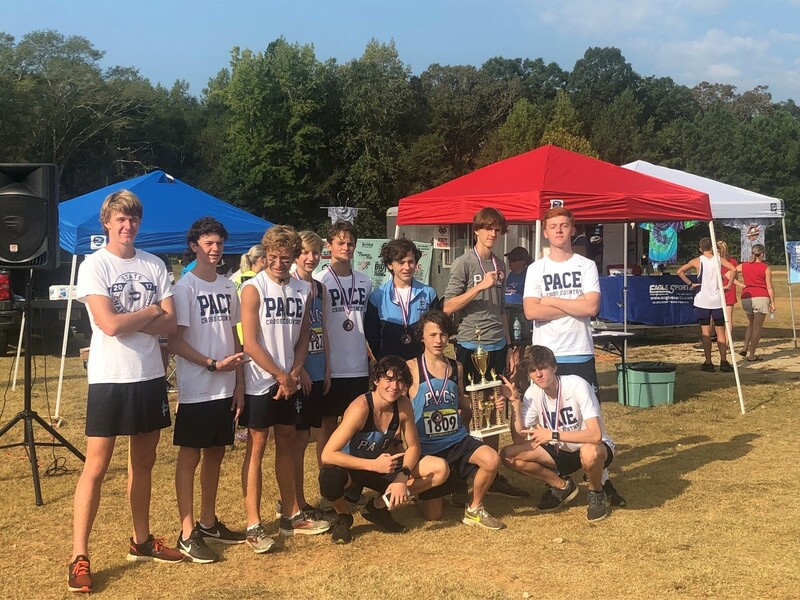 Over rough terrain and challenging hills, the Pace cross country teams competed in the Aubrae Gunderson Invitational at the Olympic Horse Park in Conyers, Ga., on Sept. 22. The varsity boys put together an awesome race; the Knights' top five ran sub 18-minute races! Freshman Edward Blaha led the team with a time of 17:23, and freshman Robert Mallis was second in his best race of the season (17:31). Freshman George Blaha was third (17:39); junior Quill Healey was fourth (17:49); and junior George Adams rounded out the top-scoring five in 17:59. The Pace boys ended on top of the entire field and brought home the gold. The varsity girls were up next. They were paced by junior Paula Sandoval with a time of 20:38. Junior Payton Payne was the Knights' No. 2, followed by sophomore Laura Romig, who ran 34 seconds faster on this course than she did last year. The Knights ran without their No. 4, freshman Kate Jonas, but freshman Laura Arenth stepped into Jonas's shoes and was No. 4 on the day. Sophomore Kathryn Hood rounded out the Knights' top five. In the end, the Pace girls finished as runner-up in the meet. The teams will resume competition on Oct. 4 at the Runners Fit Mountain Invitational at Unicoi State Park. The varsity football team defeated Redan 35-14 for Homecoming at Walsh Field. Led by senior quarterback Jared Rayman and sophomore Jayden Thomas, the Knights went airborne to take an early 7-0 lead on 45-yard touchdown pass and catch. After a half-back, trick-play pass, Redan scored a 75-yard touchdown. 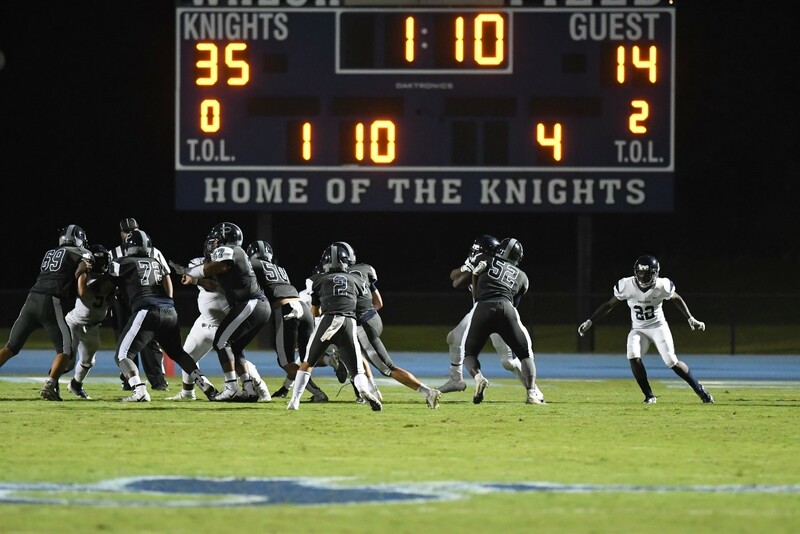 The Knights struck right back as the team's ground game of senior Keashawn Perryman, sophomore Justin Johnson and freshman Deuce Jordan II got rolling to score 28 unanswered points to develop a huge 35-7 halftime lead. The defense, led by junior Mbiti William's two interceptions, got back on track, wreaking havoc as Coach Chris Slade played the entire team to build experience. There were many alumni in the stands along with the huge turnout in the student section. Next up for the Knights is a road game on Friday, Sept. 28, versus Stone Mountain at 5:15 p.m. at Hallford Stadium. The mountain bike team took to the trails on Sunday, Sept. 23, in Acworth, Ga. The course at Allatoona Creek offered the riders a wide variety of terrain: from wide open grassy areas to tight, twisty single-track with plenty of roots and rocks. In the freshman boys race with 87 riders, freshman Sam Brooks led the Knights with a 44th-place finish and a time of 1:04:02 on the 9.8-mile course. Brooks was followed by freshman Jude Black, who finished 46th with a time of 1:04:10, and freshman Alex Mathias, who finished 50th with a time of 1:04:39. In the sophomore boys race with 53 riders, sophomore Aiden Critz led the Knights with an 11th-place finish and a time of 57:09 on the 9.8-mile course. In the JV boys race with 69 riders, junior Ben Tolliday led the Knights with a 13th-place finish and a time of 1:20:46 on the 14.7-mile course. Tolliday was followed by senior Ben Solomon, who finished 24th with a time of 1:24:39. The Knights take to the trails again during the weekend of Oct. 6 when they ride Bartram Trails in Milledgeville, Ga.
Over the weekend of Sept. 22, the varsity volleyball traveled to Dorman High School in Spartanburg, S.C., to play in the Tournament of Champions, where state-champion teams from South Carolina, Tennessee and Georgia come together to compete. 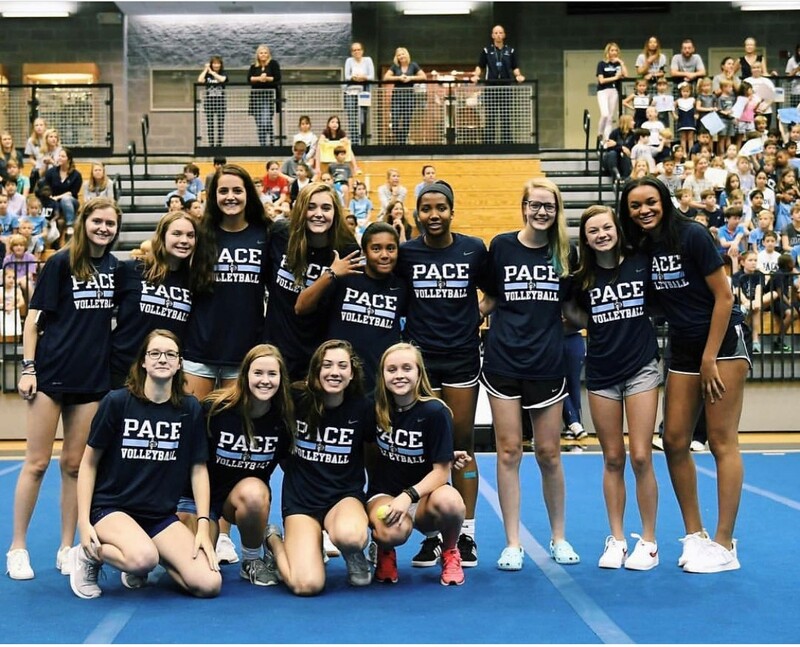 Pace was by far the smallest school to participate and went up against schools such as Charleston's Wando High School with more than 4,000 students. However, the Knights represented, finishing second to Wando in first-round pool play and guaranteeing a Gold or Silver Bracket pool in the next round. Although the Knights were missing senior Nicole Petrosky due to illness and junior Lucy Ferry with a high ankle sprain, the team played well and with great intensity all weekend. Unfortunately, Pace came up short against Pickens, St. Joseph's and Dobyns Bennett and ended up in the Silver Bracket. The Knights played incredibly well considering they were down to nine healthy players as they faced Lexington in the semi-final round of the Silver Bracket playoffs. Pace won the second set to force a third-set tie breaker, but in the end, Lexington came back to close out the win. Sophomore Kalissa Greene and junior Dominique Turner were selected to the All-Tournament team. Junior Ada Jane Agolli led the team offensively, posting 51 kills. Greene added 93 assists, and Turner added 57 digs. Seniors Davis Mathis and Alexandra Baker, as well as sophomore Hannah Pace, added to the defense with 46, 43 and 29 digs, respectively. Freshman Morgan Neill and senior Paige Fleming also contributed. Neill posted 13 digs and three aces, while Fleming posted two aces and four digs. Senior Sophie Beck had one of her best performances, posting five kills and two blocks. Next up is an area match against Towers and Lovett at the Lovett School on Sept. 26. Game times are 6 p.m. versus Towers and 7 p.m. versus Lovett. The team hopes to see a huge Pace crowd to cheer them on! 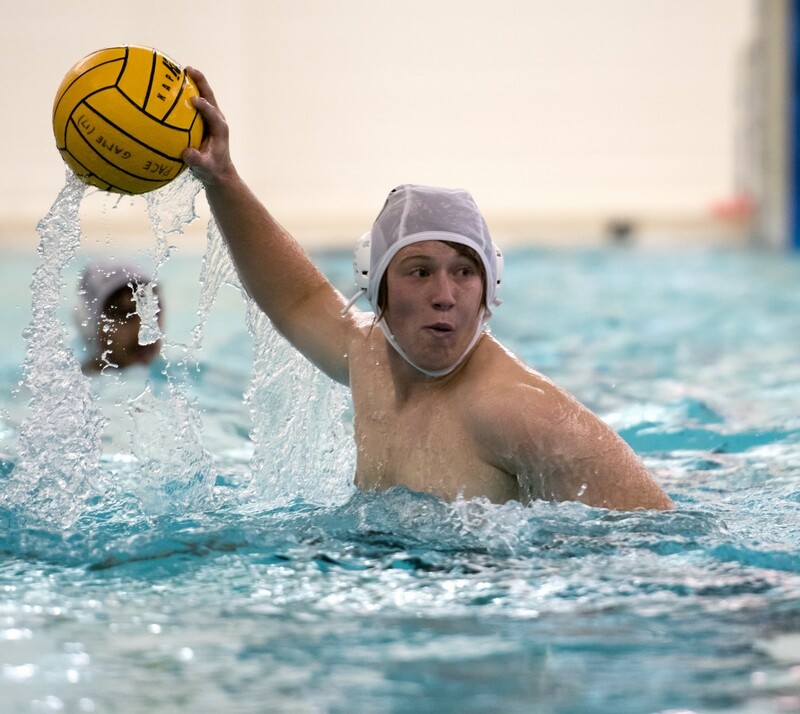 On Sept. 20, Senior Night, the water polo A Team bounced back from its first defeat of the season with a great win over the Wheeler Wildcats. The team celebrated the four-year career of senior Andrew Jenkins, who has made the All-Star team the past three years, was selected to All-State and was the 2017 league MVP. Jenkins wraps up his final regular season at Pace with 335 goals and 47 assists. Pace led Wheeler 2-1 after the first quarter. In the following three quarters, the Knights found their groove, with juniors Harris Greenbaum (goalie), John O'Brien, Alan Tapper and Harrison Saini, and eighth-graders Barrett Hight and Carter Freudenstein providing shut-out defense. The offense went on a scoring frenzy. Goals came from Jenkins (7) and juniors Jackson Hamel (3), Dillon Carroll (3), O'Brien (2) and Tapper. Hight and Freudenstein added one each for a final score of 18-1. Greenbaum had seven assists. The Knights go into the state tournament, Sept. 29-30, as the No. 2 seed.